"Entertainment Weekly" recently called award-winning poet David Kirby one of "5 reasons to live" and with good reason. Once again, Florida State University's Robert O. Lawton Distinguished Professor of English—author or co-author of 29 books, hundreds of articles and individual poems, and dozens of book reviews for the New York Times—has landed on the short list for a major literary prize. 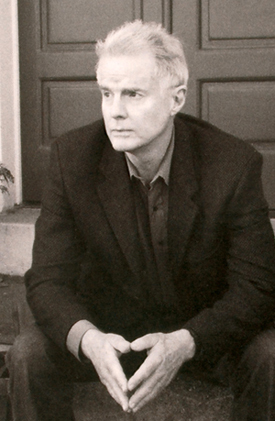 Kirby has been selected as one of five finalists for the 2007 National Book Award for Poetry for his latest collection, "The House on Boulevard St.: New and Selected Poems." The year's top poet will be named on Nov. 14 along with National Book Award winners in three other literary genres, but Kirby's collection already has a winning review. In its Oct. 10 announcement of this year's finalists, the National Book Awards cited the works in "Boulevard St." as "long-lined and often laugh-out-loud funny," calling them "poems (that) encompass many things, including the heated restlessness of youth, the mixed blessings of self-imposed exile and the settled pleasures of home." "It's hard to take credit for anything when, like me, you're surrounded by colleagues and students as committed and accomplished as the ones at Florida State," said Kirby, who earned his Ph.D. from Johns Hopkins University and joined the FSU faculty in 1969, at age 24. Almost 40 prolific years later, he calls FSU a perfect lab for creative activity. "I'm just happy to be one of the chimps," he said. Kirby's FSU colleagues have described him in somewhat loftier terms. In 2003, he was named the Robert O. Lawton Distinguished Professor, the highest honor bestowed by the FSU faculty on one of its own. Three years later, the dedicated professor who specializes in 19th century U.S. literature and creative writing (poetry) won FSU's Distinguished Teaching Award. "That David Kirby has been chosen as a finalist for a National Book Award is wonderful recognition of a brilliant poet who is one of the most valuable faculty members at the university," said FSU College of Arts and Sciences Dean Joseph Travis. "David is living, breathing proof that beautiful scholarship and wonderful teaching go hand-in-hand." In a profile of Kirby that appeared in the Sept. 2 Tallahassee Democrat, former U.S. Poet Laureate Billy Collins declared, "He's created this new form. You can recognize a David Kirby poem from across the room." Kirby's distinctive collections of poetry about life in and out of academia—marked by his wry appreciation for popular culture—have won praise from both literary and popular culture realms. However, his writing comprises nearly every genre and includes critical studies of 19th- and 20th-century American literature, meditations on modern culture, children's stories, and pedagogical works. Perhaps his best known work, Kirby's poetry collections include volumes such as "The Ha-Ha," "The House of Blue Light," "The Traveling Library," and of course, "The House on Boulevard St.," published last spring, which has made him a National Book Award contender. Also published this year was a collection of essays—"Ultra-Talk: Johnny Cash, The Mafia, Shakespeare, Drum Music, St. Teresa of Avila and 17 Other Colossal Topics of Conversation." His verse has appeared in The Kenyon Review, Southern Review, Ploughshares and other prestigious literary publications. Kirby has won the Brittingham Prize in Poetry; the Kay Deeter Award; the Guy Owen Prize; the James Dickey Prize; the Millennium Cultural Recognition Award; four Pushcart Prizes and appearances in two volumes of "Best American Poetry." He received a 2003 Guggenheim Fellowship, and has been awarded highly competitive grants from the Florida Arts Council and National Endowment for the Arts. A member of the National Book Critics Circle, Kirby writes regularly for The New York Times Book Review, The Atlanta Journal-Constitution and The Chicago Tribune. The National Book Awards for Poetry, Fiction, Nonfiction and Young People's Literature are bestowed annually to recognize the best of American literature. On Nov. 14, the 2007 winners will be announced at the National Book Awards Benefit Dinner and Ceremony in Manhattan at an event hosted by writer Fran Liebowitz. Each winner receives $10,000 and a bronze statue, while each finalist receives a $1,000 cash award and a bronze medal. To learn more about Kirby's celebrated body of work, visit his Web site at www.davidkirby.com or the FSU Department of English Web site at www.english.fsu.edu. "It's hard to take credit for anything when, like me, you're surrounded by colleagues and students as committed and accomplished as the ones at Florida State."